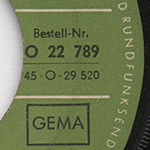 Catalog number "O 22 697" was printed at the right side of the label. 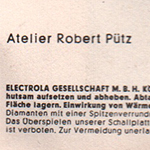 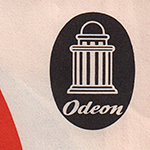 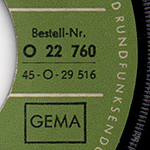 Catalog number "O 22 710" was printed at the right side of the label. 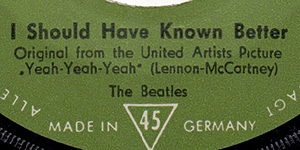 White-label demos are dated 12 April 1964 meaning official release was a few weeks later. 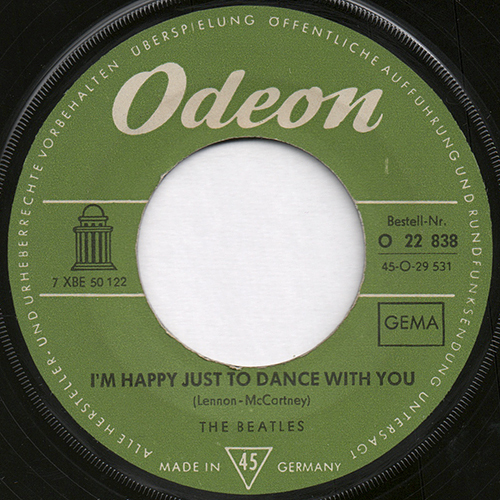 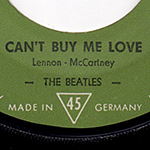 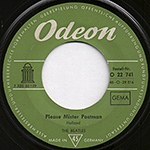 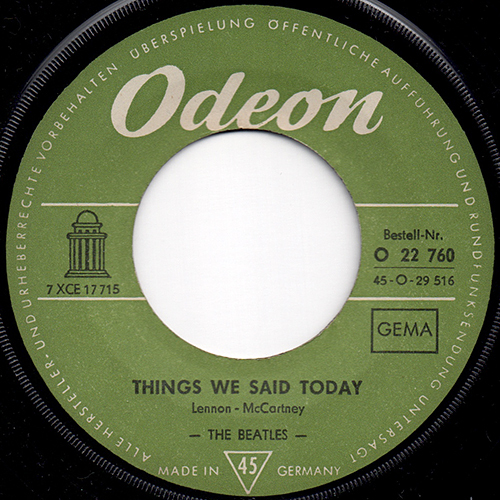 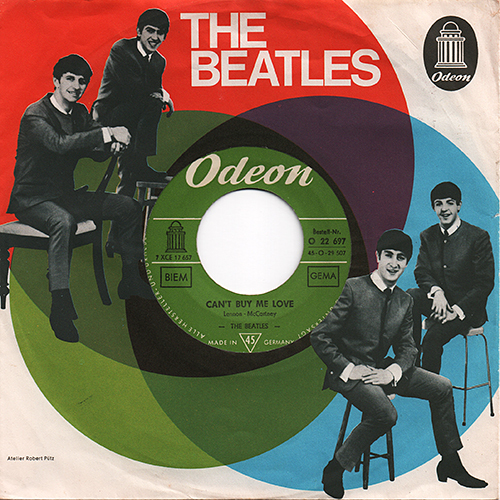 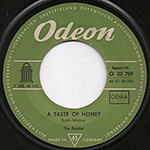 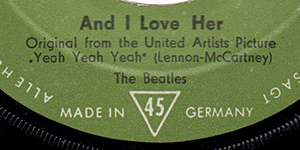 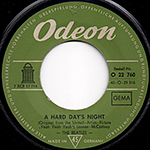 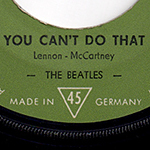 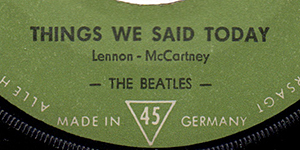 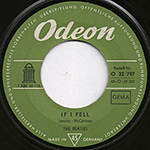 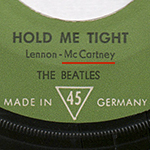 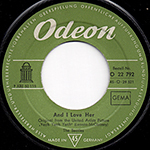 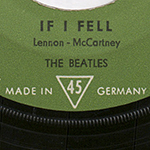 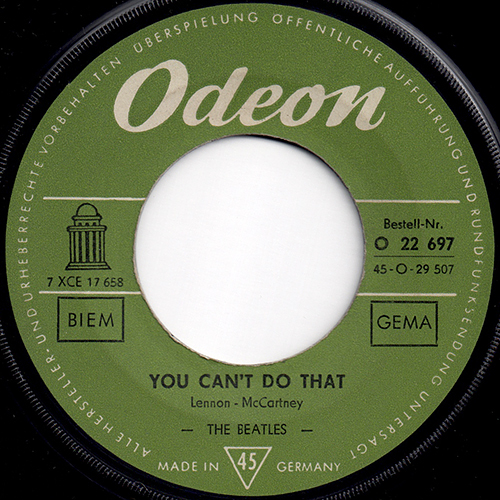 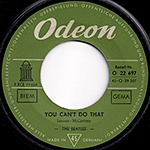 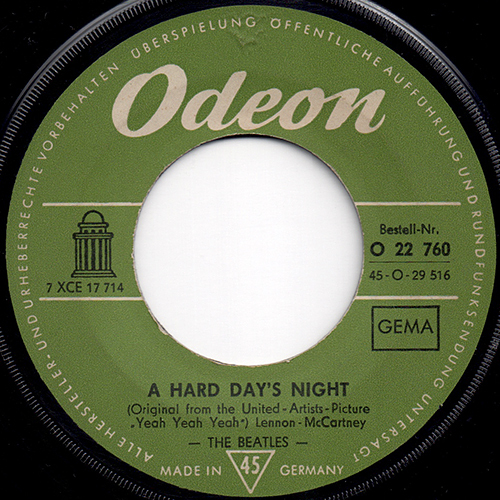 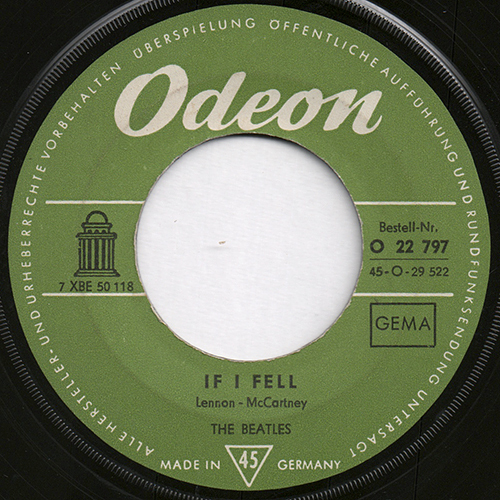 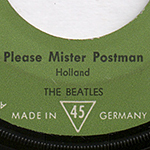 Song writer's credit: "Lennon - McCartney"
Catalog number "O 22 741" was printed at the right side of the label. 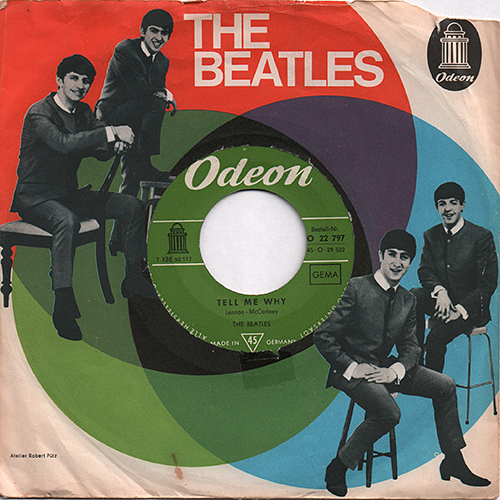 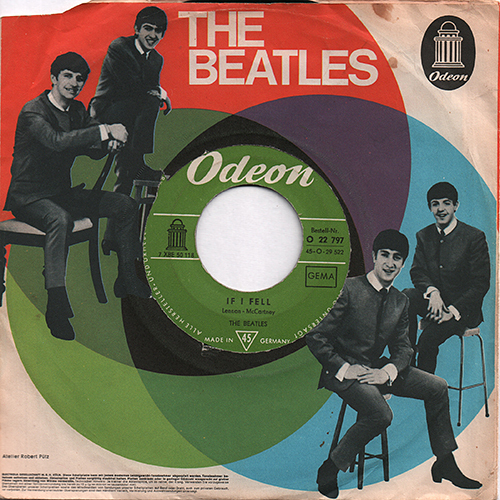 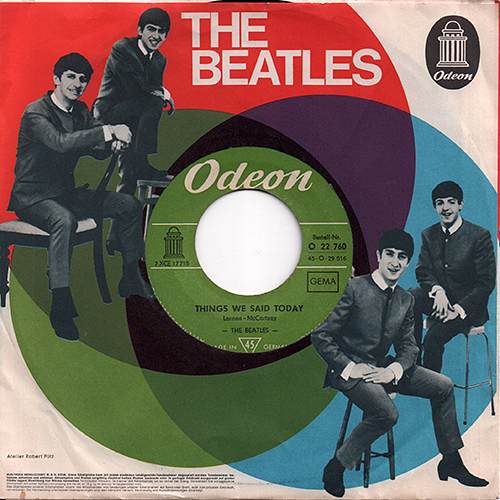 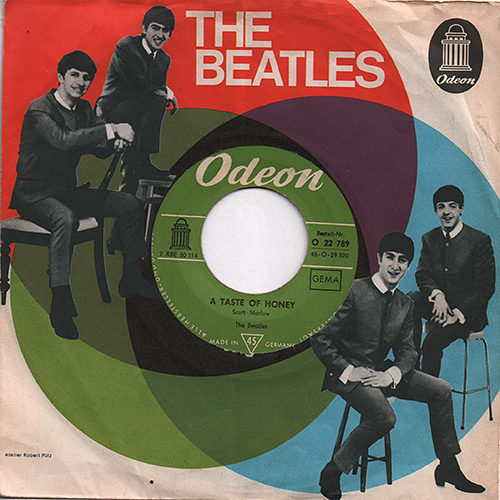 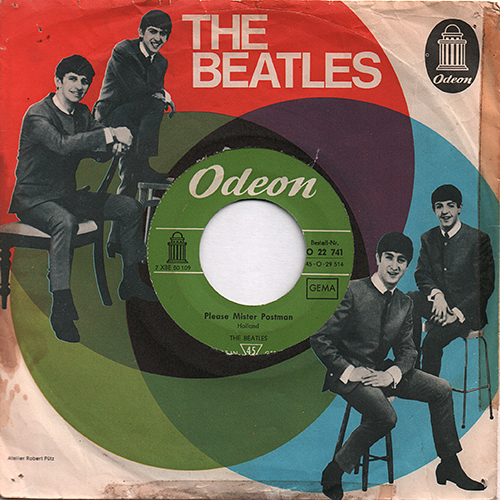 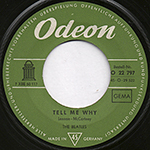 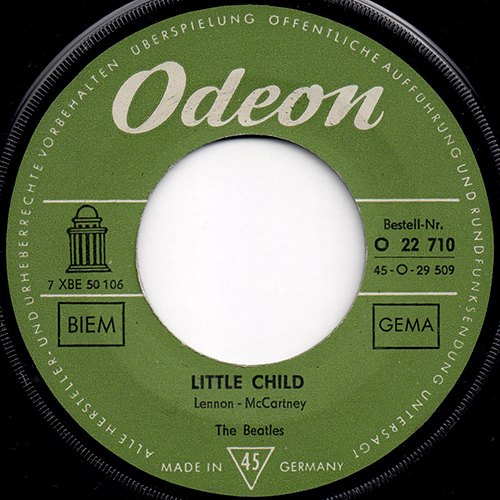 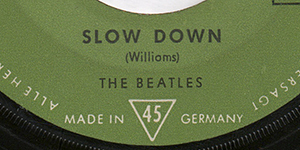 White-label demos are dated 9 June 1964 meaning official release was a few weeks later. 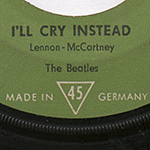 SIDE 1 SIDE 2 The credit "original from the United - Artist - Picture" was printed at the below of the song title. 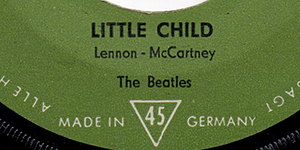 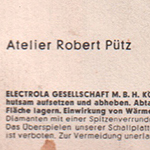 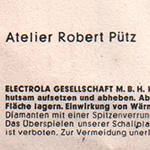 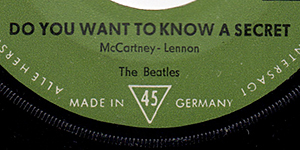 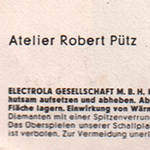 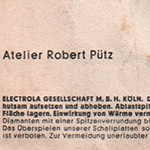 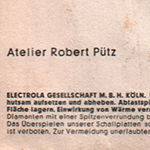 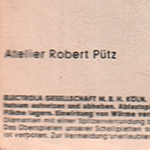 "MADE IN GERMANY" and 45 in a triangle were printed at the bottom of the label. 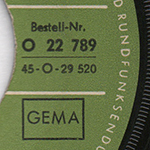 Catalog number "O 22 760" was printed at the right side of the label. 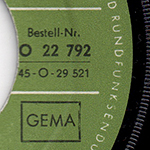 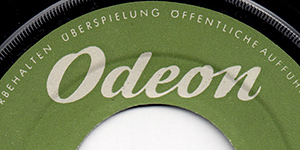 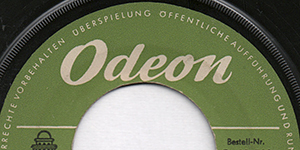 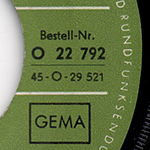 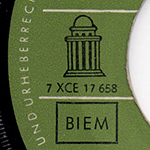 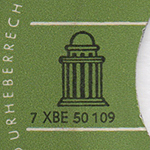 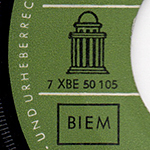 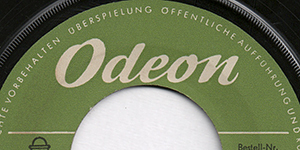 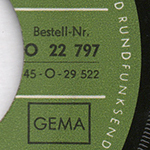 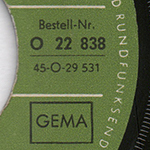 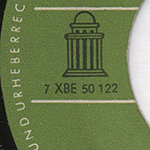 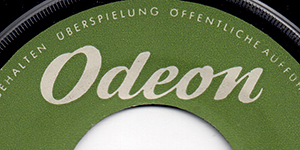 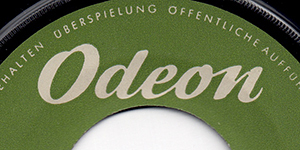 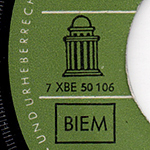 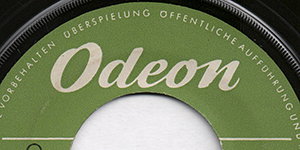 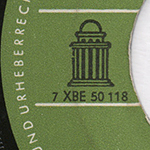 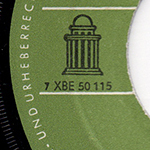 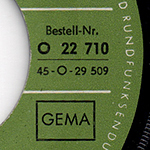 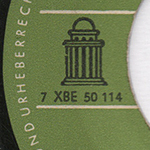 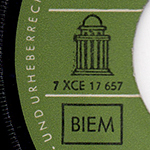 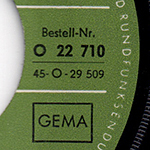 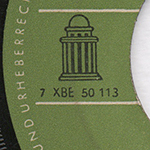 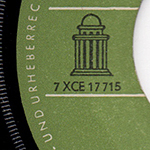 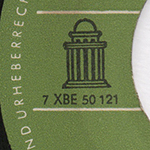 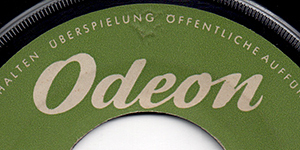 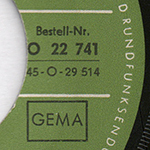 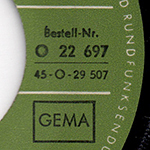 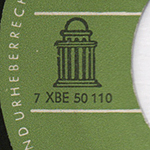 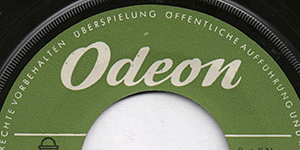 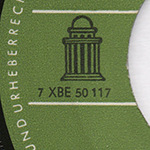 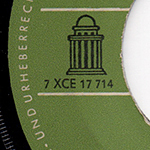 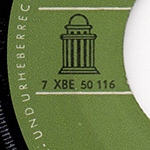 "GEMA" logo were printed on both sides of the label. 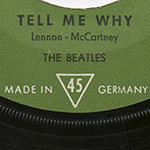 White-label demos are dated 1 July 1964 meaning official release was a few weeks later. 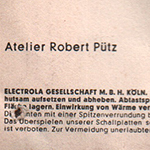 Details: "aus dem gleichnamigen film"
Details: "original from the United-Artist-Picture"
Catalog number "O 22 789" was printed at the right side of the label. 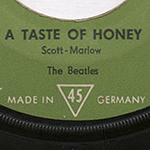 White-label demos are dated 12 Aug 1964 meaning official release was a few weeks later. 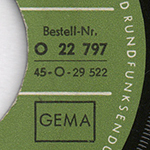 Catalog number "O 22 792" was printed at the right side of the label. 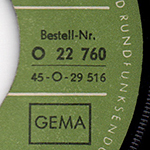 Catalog number "O 22 797" was printed at the right side of the label. 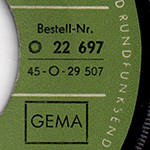 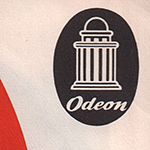 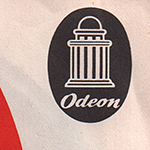 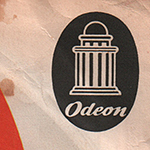 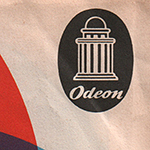 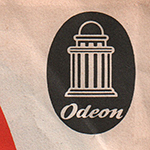 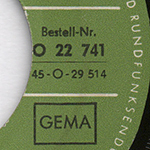 "GEMA" logo was printed both sides of the label. 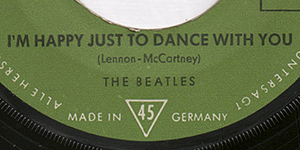 White-label demos are dated 16 Sep 1964 meaning official release was a few weeks later. 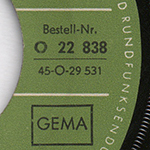 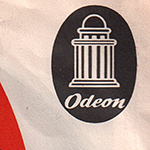 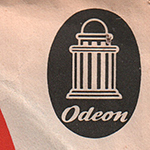 Catalog number "O 22 838" was printed at the right side of the label. 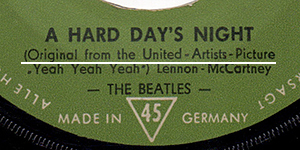 White-label demos are dated 10 Nov 1964 meaning official release was a few weeks later.